iPad Pros in multiple sizes? iPhones without numbers? It's possible, says Jason Snell. Apple’s general approach to naming its products is refreshing in an industry filled with products with complicated names and model numbers. Macs have model numbers, but nobody really uses them: I own an iPad Air 2 and a 2014 5K iMac and a 2012 11-inch MacBook Air, and between the model name, the release year, and maybe a screen size, that’s all any of us needs to know. Still, the ebb and flow of technology and fashion means that sometimes Apple needs to take a breath and adjust how it presents its products to the world. The PowerBook became the MacBook, the Power Mac became the Mac Pro, the MacBook Air appears to be diminished and headed for the west in favor of the new (adjectiveless) MacBook. So it goes. Which brings us to the report from 9to5Mac’s Mark Gurman that Apple is about to announce a new, updated iPad with the same 9.7-inch screen size as the iPad Air 2—but rather than calling it the iPad Air 3, Apple will consider it a smaller version of the iPad Pro. It’s a bit of a head scratcher, the idea that you’d have two iPads with the same name, but different screen sizes. 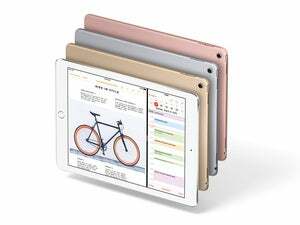 Up until now, the name of an iPad model was entirely determined by its size: the 9.7-inch iPad and iPad Air, the 12.9-inch iPad Pro, and the 7.9-inch iPad mini. If this report is accurate, the only real explanation is that Apple has decided to start naming its tablets like it names its laptops: separated into product lines based on tech specs, regardless of screen size. We don’t flinch that there are 11- and 13-inch models of MacBook Air, or 13- and 15-inch MacBook Pros. This would be the same approach. If the new 9.7-inch iPad Pro has a Smart Connector and support for the Apple Pencil, then it seems like these are features of the iPad Pro family. Presumably this new iPad Pro would also have a faster processor, more in line with the one that powers the current 12.9-inch iPad Pro. These are the traits that make an iPad Pro. I can get behind that. The tricky thing is, what happens to the rest of the iPad product line? For the last few years, Apple has created diversity in the iPad and iPhone product lines by continuing to sell older models at discounted prices. Rather than create separate product lines differentiated by features, Apple just keeps the old top-of-the-line products around for a year or two, cutting $100 off the price every year until they finally vanish. If Apple starts treating the iPad like its laptops, then, it won’t be able to keep selling the iPad Mini 2 and the iPad Air 1 in the long run. Instead, there would presumably be two iPad product lines: the iPad and the iPad Pro. The iPad Pro would be the place for Apple’s cutting-edge technologies, available at higher prices. If you want to use an Apple Pencil or buy a device with the Smart Connector or want the fastest processor and the most RAM, an iPad Pro is for you. If you want to save some money, however, you won’t be able to opt for last year’s model anymore. Instead, you’ll just opt for the lower-specced iPad product line. Apple could just rename the iPad mini 4 and the iPad Air 2 as the 7.9-inch iPad and the 9.7-inch iPad, or wait for those products to fall off the price list and be replaced by a new model that’s built to be a more affordable, less capable iPad. If Apple wanted to, it could even decrease the specs of these devices—perhaps the iPad mini 2 and iPad Air 1 are the best analogs, after all—and cut the prices farther. It’s never going to want to compete with cut-rate Android tablets, but not every iPad user needs cutting-edge processor power or Pencil support. This iPad Pro rumor certainly provides the most intriguing shift for Apple, but other rumors suggest Apple may be open to altering its approach in other areas. 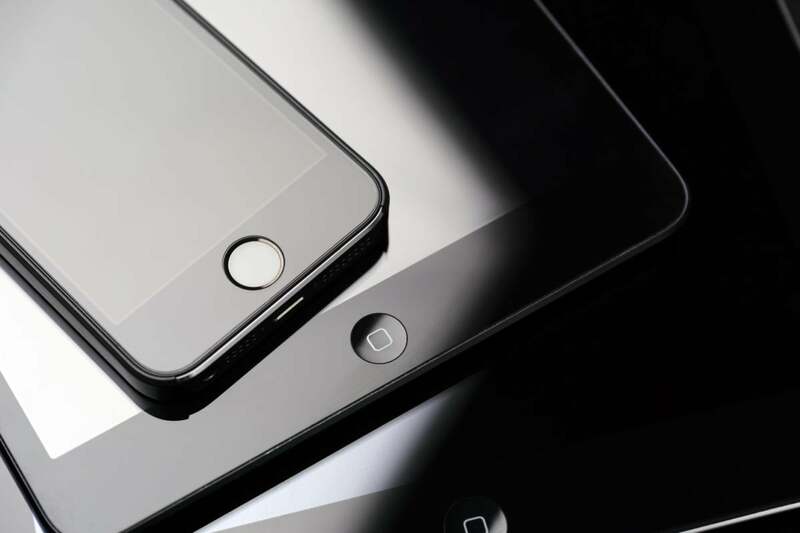 The rumored update to the 4-inch iPhone might be called the iPhone SE. There’s a rumor that there might be a high-end version of the iPhone 7 this fall that could possibly be dubbed iPhone 7 Pro. It’s a little scary to think of Apple tinkering with the naming scheme of its most important product, but the iPhone product line has already been complicated quite a lot: At your local Apple Store you can currently choose from five distinct models: iPhone 5s, iPhone 6, iPhone 6 Plus, iPhone 6s, and iPhone 6s Plus. Would adding a Pro model (with bigger profit margins!) really be the straw that broke the camel’s back? Replacing the 5s with a new model that keeps Apple in the small-phone business but upgrades its tech specs to iPhone 6 class makes sense, and calling it an iPhone 5 or an iPhone 6 would probably be weirder and more confusing. As Apple’s product line has diversified, its naming scheme has become a bit unwieldy. Maybe it’s time to make some changes that will make everything clearer in the long run, even if it takes some time for us to get used to. It took me a couple of years to stop calling my MacBook a PowerBook, but today it sounds perfectly natural. Maybe in a year or two, we’ll say the same about the iPad Pro.